Tech in Asia is reporting on Bingobox, a Chinese startup building Amazon Go like technology. Bingobox is already operating a handful of stores in Zhongshan, where Bingobox is also based, and recently launched the first one in Shanghai. Bingobox stores look a little less ‚glamourful‘ than Amazon Go and run, expectedly, on WeChat. Customers have to scan each item‘s barcode themselves. They can pay with WeChat Pay or Alibaba‘s Alipay. Now that‘s a ‚mobile‘ business. The importance of the omnipresence of WeChat and smartphones in general in China for these new kinds of retail can not be underestimated. 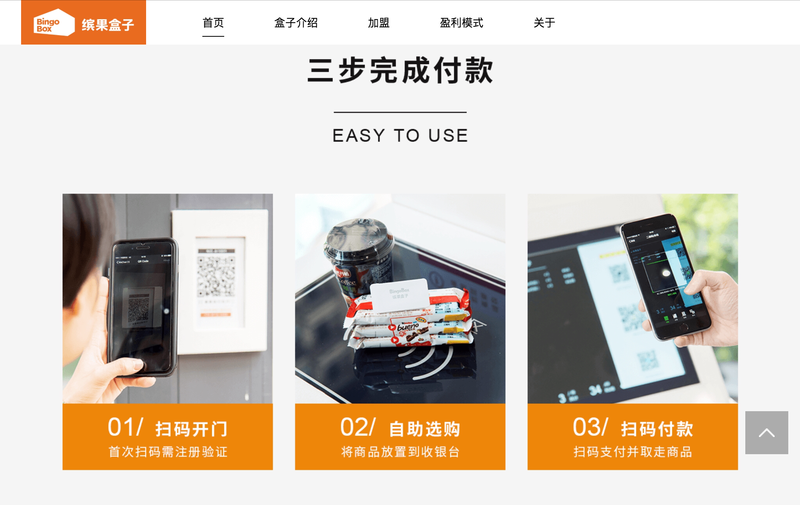 A lot of small convenience stores in China already run several aspects through WeChat, like coupons, notifications and payments. This is ‚only‘ taking it a step further, while in Western markets something like Amazon Go means a far larger change in user behavior and far bigger investment in general. Bingobox is making one thing obvious that is true for Western markets as well: A marriage of Amazon Go-like technology and the Treasure Truck could yield promising results. It‘s just a matter of time. Chinese venture firms Qiming Venture Partners, Source Code Capital and Ventech China also participated in the round. Make sure to watch the video at the official site of Bingobox to get a better picture on the startup itself. For such a futuristic sounding concept it really is rather low-tech.